On Friday February 23rd, New Mozart’s gifted piano student Bartholomew participated in the Advanced Open Piano Concerto Competition hosted by the United States Open Music Competition (USOMC). This event, the highest of four levels of concerto competition, had eight competitors playing various pieces such as the 1st movement from Chopin’s Concerto #1 Op. 11 in E minor and the 1st movement of Tchaikovsky’s Concerto #1 Op.23 in Bb minor. Bartholomew, performed the 1st movement of Gershwin’s Concerto in F major. The judges awarded Bartholomew the silver medal of the competition that had a robust field of talented individuals. Bartholomew began his musical journey in our Harmony Road program when he was 6 years old and currently studies piano with Teacher Larisa. He has shown exceptional talent and dedication over the years. 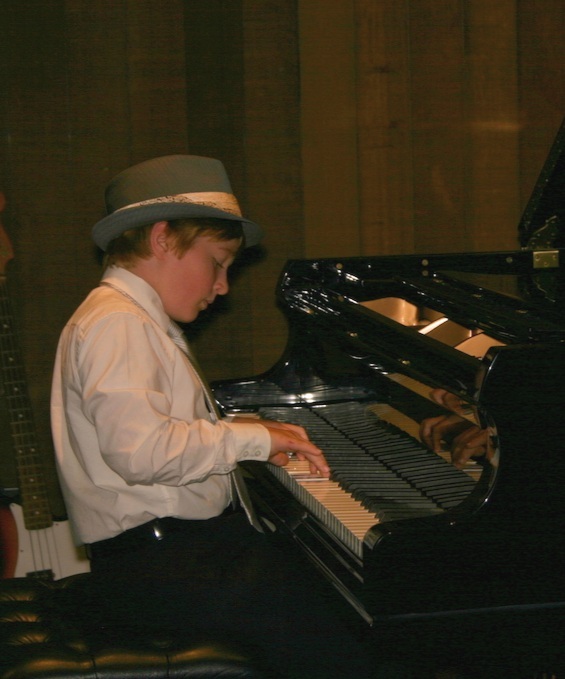 He has already given 2 full length solo recitals, won numerous awards and scholarships over the years.